Histochemistry: An Explanatory Outline of Histochemistry and Biophysical Staining describes the histochemical staining of cells and tissues as a major tool applied in biological and medical investigations, both in basic research and in practical applications such as clinical diagnosis. The book may be considered as a guide to understanding the scientific basis of staining procedures and alternate actions to take when common methods do not proceed as expected. The first chapter gives general theoretical ideas from which most part of the book is largely organized around. As the book considers the arts and crafts making up the practice of histochemistry and biological staining, emphasis is given to the common physicochemical aspects of the technically diverse methodologies involved. 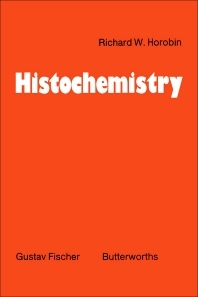 Hence, the author has drawn ideas and information from physicochemically and biochemically related fields, such as chromatography, pharmacology, photography, tanning, and textile dyeing. The bulk of the book is structured around groups of practical procedures, such as fixation, staining with dyestuffs, metal impregnation, and selective extraction as a test of significance. Lastly, general essays on the usefulness of staining theories and on the problems arising from reagent impurities are given as examples. The text is suitable for students and researchers in the fields of physiology, biochemistry, and pharmacology. Clinical laboratory scientists and those involved in the life sciences and biotechnology will benefit from reading the book. 1.1 What Information Does Biological Staining Provide? 1.2 How Do We Carry out Biological Staining? And Why Do We Do What We Do? 1.5 Why Doesn't Everything Always Stain? 1.6 Why Does the Tissue Remain Stained after Its Removal from the Staining Solution? 1.7 How Do We Judge the Significance of Staining? Or Indeed, of Failure to Stain? 3.4 How is the Fixation of Tissues Achieved? 4.7 Why Don't Dyes Stain Everything? 4.11 What are the Causes of Differential Staining Rates? 4.12 How is the Rate of Staining Affected by the Dye Used? 4.13 How Do the Various Tissue Substrates Influence Staining Rates? 4.14 How Does Substrate Geometry Influence Staining Rate? 4.15 How Do Solvent and Co-Solute Affect Staining Rates? 4.16 How Do Pre-staining Treatments of the Tissue Affect Staining Rates? 4.19 Rate-Controlled Selective Staining Involving "Colorless Dyes"
6.2 How Does the Uptake of Metal Occur? 6.3 How is the Metal Visualized after Uptake? 6.4 Why Should Such Methods Display Selectivity? 6.5 Why are Many Metal Impregnation Methods So Fickle? 7.7 How Do We Interpret the Results of a Staining Procedure? 10.2 What is the Effect of the Fixative? 11.5 Does Staining Intensity Reflect Substrate Concentration? 11.8 Have There Been Substrate Losses? 11.9 Is There Masking of Substrate? 11.10 Was There Staining, Which Has Been Lost?